I’m standing on the cliff top at Thurstaston looking across the estuary towards North Wales. The mudflats look the same as they always do. A milk chocolate brown expanse rippled with darker creeks and gullies. One thing is different though… No birds. It is high summer. July has come around with the usual soon-to-be-broken tabloid promises of the longest ever heatwave and bold, possibly optimistic, predictions about English success in the Ashes and Wimbledon. On the Patch, the waders that I so love to watch, study and photograph have long departed for the high Arctic. The perpetual daylight, wide open spaces and abundant food there make them an ideal place to breed so they abandon the muddy banks of the Dee for a short breeding season. That is all well and good for them but it leaves me to find something else to point the camera at. There are plenty of birds in the hedgerows of the Wirral Way but they are on eggs or feeding chicks and I never feel comfortable poking my lens into their busy world. They have enough going on without me disturbing them. So it’s not going to be birds that I photograph. I need another subject. Other birds. 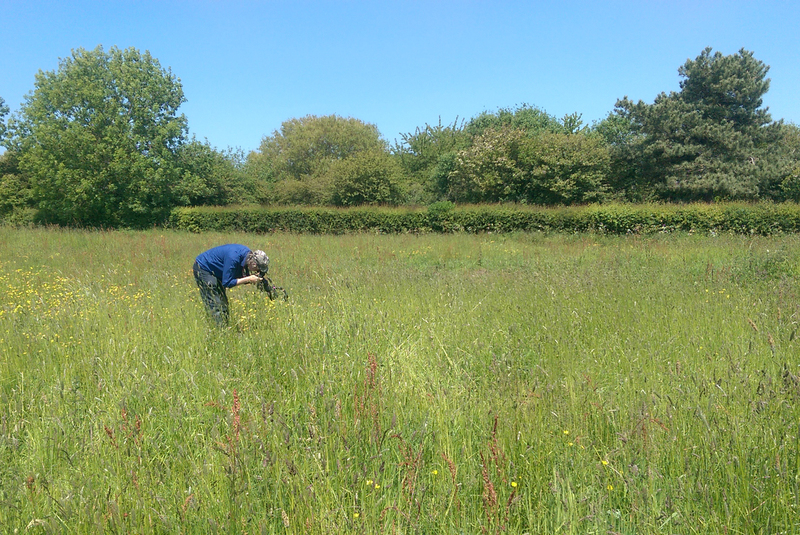 The meadows at Thurstaston are in really good shape at the moment. Plenty of wildflowers amongst the lush grasses means a plethora of butterflies on the wing. I lose several afternoons chasing Meadow Browns and Large Skippers across fields and along hedgerows. I’m joined on several occasions by my dad and between photographing bugs we set the world to rights while chugging coffees in the café. Good times. In short the butterfly pictures weren’t giving me butterflies in my stomach. Inspiration came, as it often does, on the island. Hilbre Island. The sun was intense but a gentle westerly breeze took the edge off its heat. The same breeze was gently swaying the tall grasses in the paddock. This paddock slopes down to the cliff edge, cliffs that drop to Niffy Bay and in the strong sun it was living up to its name. 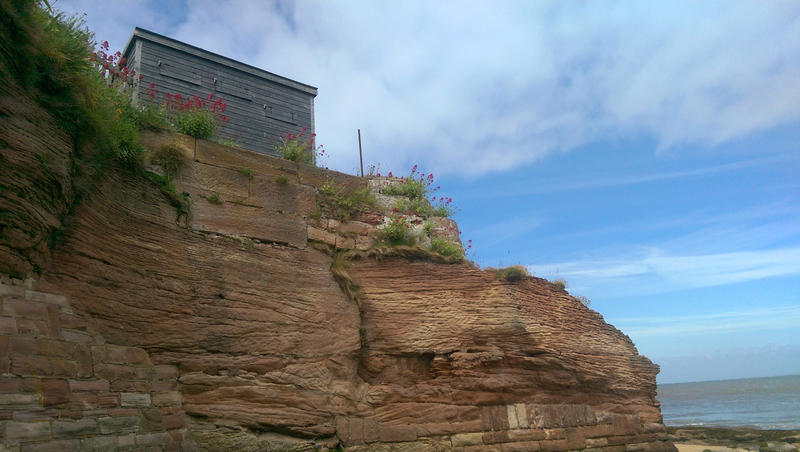 Just managing to find enough of a crack in the sandstone to gain a toehold in the cliff top is a patch of Valerian. This patch of pink has escaped from the garden of the old Buoymaster’s House and adds an extra splash of colour to the already orange cliffs. I am stood leaning on the rickety wooden fence that keeps people, and formerly livestock, from taking a tumble to the stinky seaweed below. The view across to the bustling seaside village of West Kirby never gets boring. 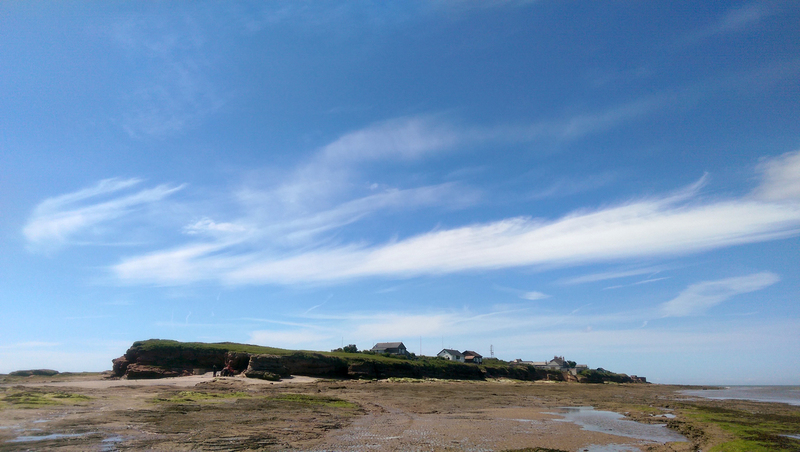 I scan the exposed sand banks on the far side of the Hilbre Swash, sweeping left and right with my binoculars. A bunch of Sandwich Terns are loafing on the sand. There is constant movement in the group. Individuals leave on fishing sorties to be replace by those returning with either full bellies or full beaks. Shining silver sand eels are presented to hungry chicks. All of this happens to the soundtrack of summer: their loud rasping “kirrik-kirrik” calls. They are too distant to photograph though. The odd Painted Lady butterfly whizzes past on the breeze. Too fast to photograph. Looking down into Niffy Bay I am searching the brown seaweed for any Dunlin that either haven’t made it north or have returned early after an unsuccessful attempt at breeding. As I do this something catches my eye buzzing around the hot pink Valerian. I zero in on it and see it is a Hummingbird Hawkmoth. I have been after a picture of one of these moths for ages and almost without thinking about it I have dashed to the camera bag and grabbed the 5Dmk2. The next few minutes are a bit of a blur. From the bag I get the 100-400 zoom lens. The 500mm will be no good here, the minimum focussing distance of 4 metres is too long. 180mm macro won’t get me close enough especially with a full frame camera. Next thing is to decide on are settings. Shutter speed will need to be super-fast to try and freeze the moth in flight. The light is superb, which will help, bright sunshine coming over my right shoulder and illuminating the Valerian patch perfectly. I want a decent depth of field so I want to be shooting at around f8; even with the good light I reckon I’m going to have to push the ISO pretty high. I take a few test shots to get the exposure right. Eventually I settle on 1/3200s at f7.1 on ISO 800. Then it is just a question of following the moth and getting the shot I have in my head. I want it hovering by the Valerian with the wings extended and its proboscis unfurled ready to feed from the flower head. The 5Dmk2 doesn’t have the fasted frame rate but its sensor is incredible so I’m hopeful that with a bit of perseverance and luck I can get the picture I want. A second Hummingbird Hawk appears a second “other bird” and I reel off upwards of 150 frames in less than 10 minutes of frenetic feeding and photography. Once the moths have had their nectar lunch they disappear over the paddock towards the cliffs on the west side of the island. I step into the shade of one of the old buildings and start to review the pictures on the back of the camera. I rate them as I go through, miss, miss, close, possibly, miss, might sharpen in Photoshop, miss, miss, miss and a couple of “oh yeah!”. There are a few pictures sharp enough that look like the image I had in my head as I first pointed the camera at the moths but I won’t know if they are any good until I get a proper look at them on the computer screen. Quick as a flash I pack up the kit. That nervous feeling of “have-I-or-haven’t-I-got-the-shot” starts in my stomach. I charge back to the mainland with a spring in my step, not even the soft sand around Little Eye can slow me down. Back home I fire up the PC and upload the pictures. I’m more than happy with the results. A few tweaks here and there and a sympathetic crop is all they need to get them into a state I am happy to share. The 5Dmk2 and Hilbre Island do it again. 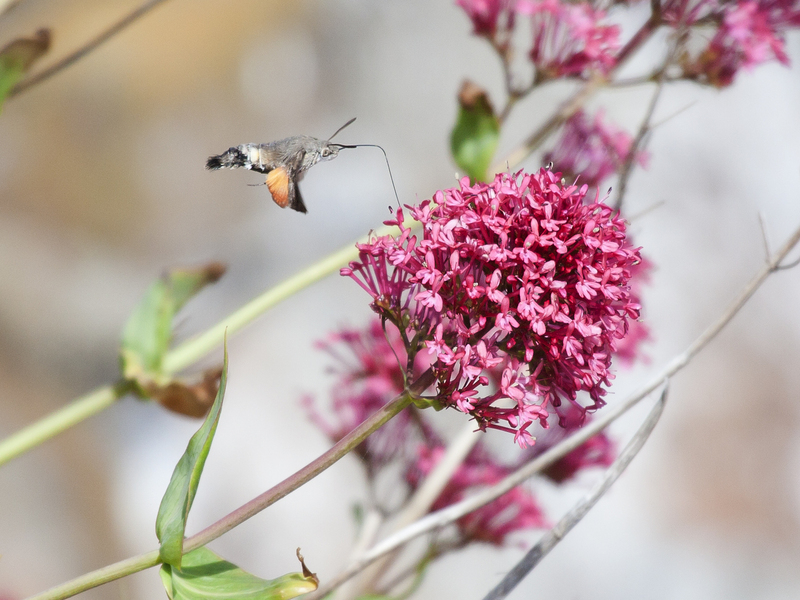 In the absence of my migratory shorebirds I found another stellar subject, Hummingbird Hawkmoths – the Other Birds. A wonderful bit of writing as well as photography! Those little hawkmoths (the Other Birds) are indeed difficult to shoot, as they flit around so fast! Reading of your adventure, I relived my own experience at trying to "capture" these moths in pixels! What a great way to start my day! Well done! 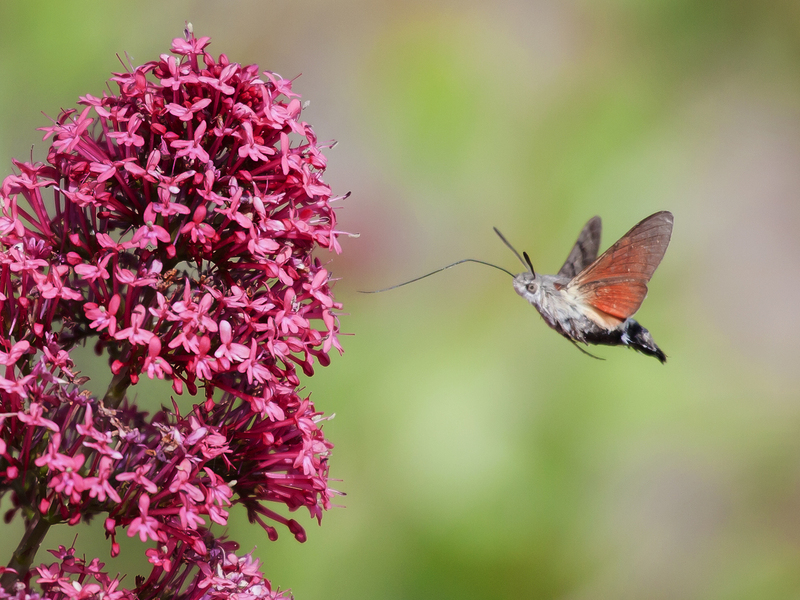 I haven't even seen a hummingbird hawkmoth this year.